Check here for possible updates or further details. RAM HEAD: 13 Red-throated Divers & c120 Common Dolphins. DUNGARVAN: Small Tortoiseshell butterfly on main street. 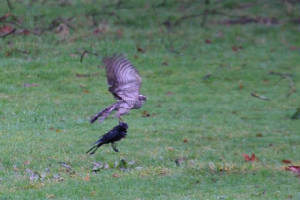 KILMACTHOMAS: Jackdaw showing characters of one of the Nordic/eastern European races monedula/soemmerringii. 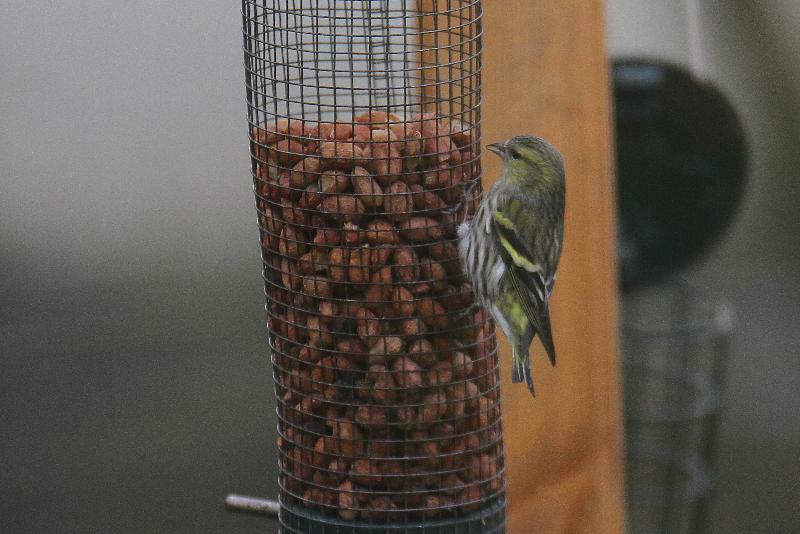 THE VEE: Female Crossbill on Co Waterford side. DUNGARVAN: Green Sandpiper at Brickey canal. GREAT NEWTOWN HEAD: 6 Red-throated Divers. ANNESTOWN BOG: 2 Water Rails calling. TRAMORE BOATING LAKE: 29 Gadwall. 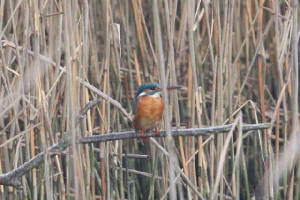 DUNGARVAN: Kingfisher at Barnawee, 3 Pintail off pitch & putt course. BLACKWATER VALLEY: Water Rail at Killahaly Bridge. CLONEA STRAND: 5 Slavonian Grebes & a Little Gull. Nr COMERAGH MOUNTAINS: Male Hen Harrier. TRAMORE: Black Redstart at west end of beach; 36+ Gadwall at the boating lake; 550 Brent Geese & 600 Black-tailed Godwits at Lisselan. BELLE LAKE: Water Rail calling. Nr DUNGARVAN: Long-eared Owl at Brickey canal, Merlin at Kilmurray. Nr DUNGARVAN: 4 bats (species unclear) flying over Brickey canal & Kilmurray. 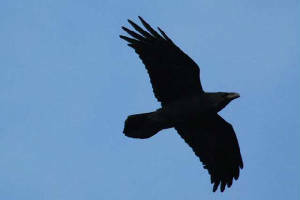 WEST WATERFORD: High count of 7 Buzzards soaring at one location. DUNGARVAN: Adult Little Gull at Ballynacourty pier; Jack Snipe at Abbeyside prom. 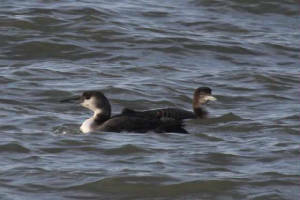 HELVICK HEAD: 4 Great Northern Divers. Nr DUNGARVAN: Long-eared Owl at Knockmaun. WHITING BAY: 1st-winter Mediterranean Gull. KNOCKMEALDOWN MOUNTAINS: 2 Red Grouse. DUNGARVAN: Merlin in Dungarvan town; 2 Slavonian Grebes & 2 BLACK-NECKED GREBES off Ballynacourty; male Shoveler off pitch & putt course; Green Sandpiper at Ballyneety; 3 Bramblings at Abbeyside. 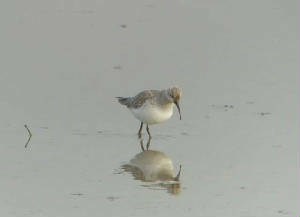 SEAFIELD (nr Bunmahon): Green Sandpiper & 2 Kingfishers. KNOCKADERRY RESERVOIR: 2 Whooper / Mute Swan hybrids. 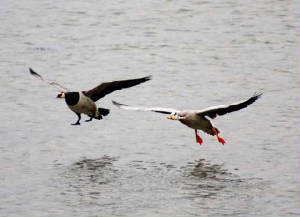 COOLFIN: 405 Greylag Geese & 39 Whooper Swans. 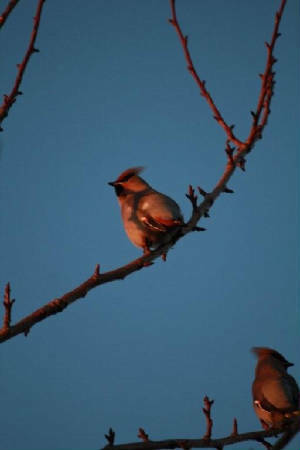 POLLRONE (nr Mooncoin, Co Kilkenny): 2 Tree Sparrows. 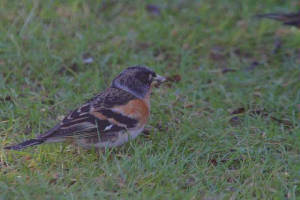 DUNGARVAN: 2 BLACK-NECKED GREBES & 2 Slavonian Grebes off Ballynacourty pier; Brambling at Strandside. 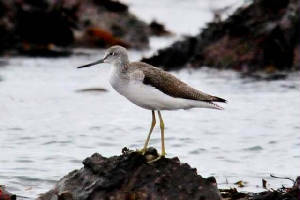 Nr BUNMAHON: Green Sandpiper at Seafield. 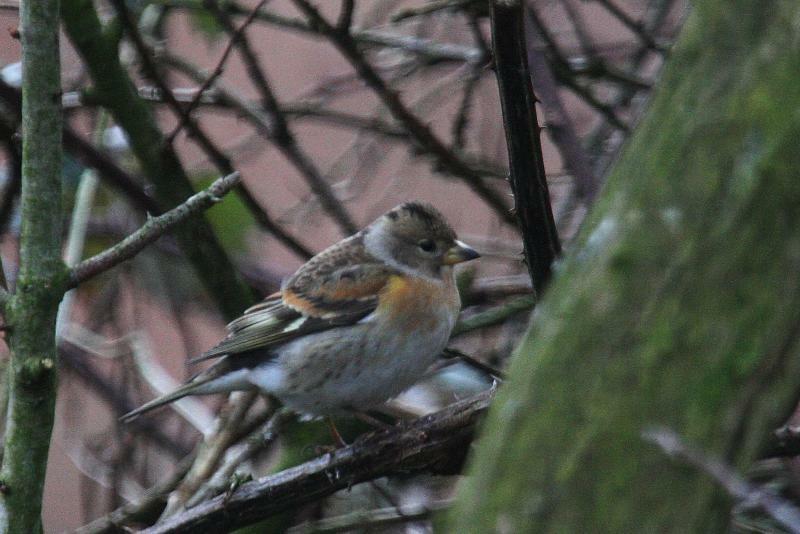 DUNGARVAN: Male Brambling & 2 Blackcaps at Strandside. 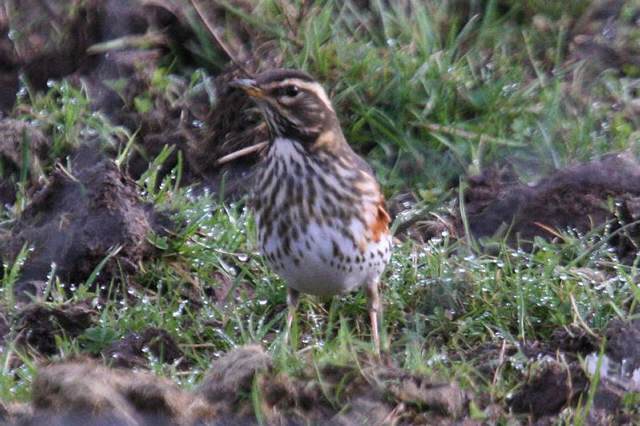 DUNGARVAN (I-WeBS count): Totals included 835 Brent Geese, 57 Great Crested Grebes, 4 Great Northern Divers; a Jack Snipe (at the Cunnigar); 5 female/immature Pintail & an imm male Shoveler off the pitch & putt course; also a male Brambling at Strandside. CLONEA STRAND: 3 Purple Sandpipers at Ballinclamper, 18 Great Northern Divers & 32 Red-throated Divers, Ballinard to Ballyvoyle. 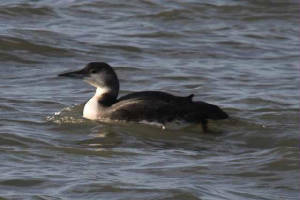 ARDMORE BAY: 4 Great Northern Divers & 8 Red-throated Divers. 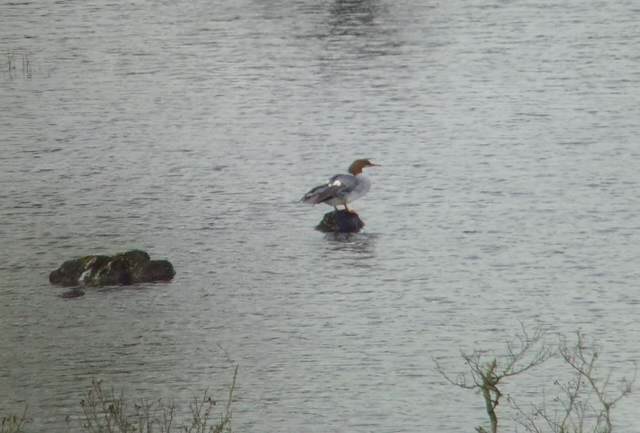 BALLYSCANLAN LOUGH: 3 female/immature Goosanders again present. 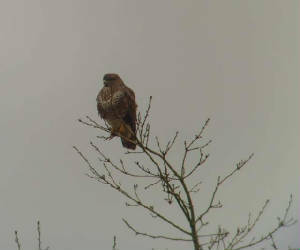 KNOCKADERRY RESERVOIR: Merlin, hybrid Whooper / Mute Swan & 98 Tufted Duck. BALLYSHUNNOCK RESERVOIR: 30 Whooper Swans. TRAMORE: Black Redstart at western end of strand. Nr BUNMAHON: Green Sandpiper at Seafield; 50+ Stock Doves. 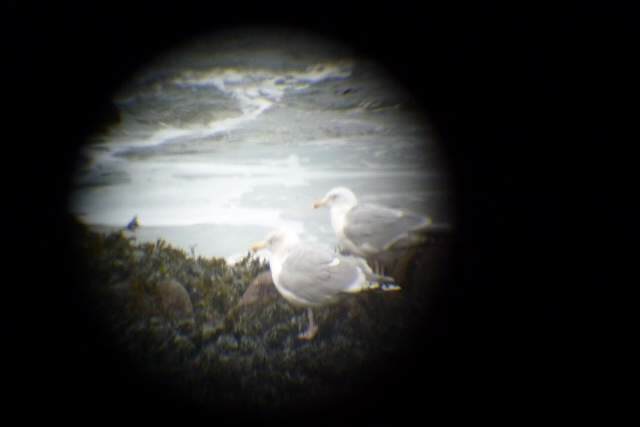 CLONEA STRAND: Whimbrel & 3+ Purple Sandpipers. 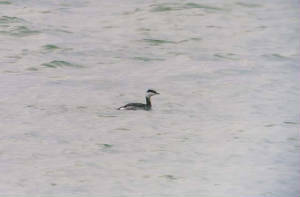 DUNGARVAN: 2 BLACK-NECKED GREBES at Ballynacourty; 2 Barnacle Geese & probable Barnacle hybrid at Ballyneety. ARDMORE BAY: 6 Great Northern Divers, 1st-winter Mediterranean Gull & 620 Common Gulls. BLACKWATER CALLOWS: 166 Whooper Swans at Ballynerroon West, near Ballyduff. 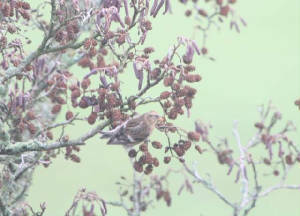 ARAGLIN HILLS: 1 Crossbill near Cronohill (Co Cork side). 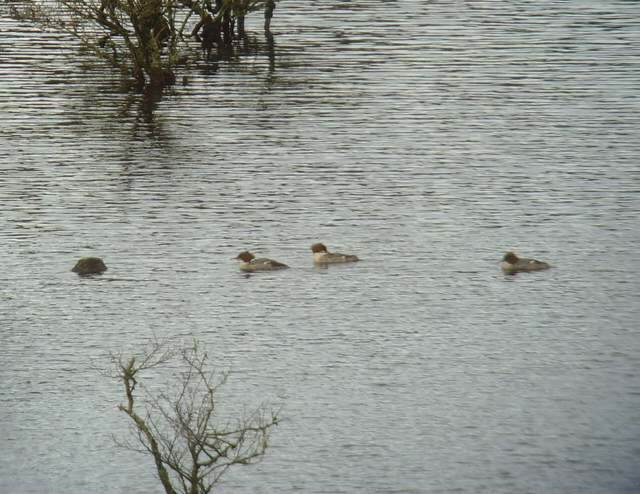 BALLYSCANLAN LOUGH: 3 female/immature Goosanders. DUNMORE EAST: 6 Purple Sandpipers outside seawall. TRAMORE: Black Redstart at west corner of beach, 5 White-fronted Geese at Lisselan, 32+ Gadwall at boating lake, 80 Hooded Crows off Saleen. DUNGARVAN: 2 Little Gulls (adult & 1st-winter) off Ballynacourty pier; Kingfisher & adult Mediterranean Gull at Barnawee; Kingfisher at Brickey canal. FINISK BRIDGE: Green Sandpiper & 2 Dippers. TRAMORE BACKSTRAND: Spotted Redshank again at Pickardstown / Ballinattin. 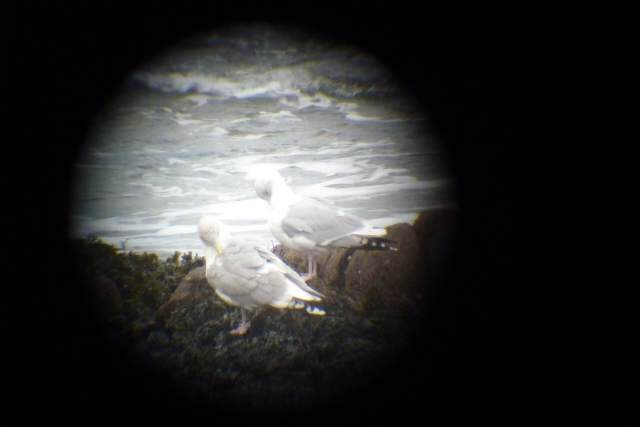 HELVICK HEAD: 2+ adult light-phase Pomarine Skuas (1 E, 2W), 48 Red-throated Divers W, 60 Fulmars W & 490 large auks W (seawatch 13:40-15:10, wind 6-7 SW); also 12 Red-throated Divers & 6 Great Northern Divers & on sea. DUNGARVAN: 2 Green Sandpipers & 2 Kingfishers at Brickey canal; Barnacle Goose at pitch & putt club; male Shoveler off Quann's. SEAFIELD (nr Bunmahon): 4 Woodcock. 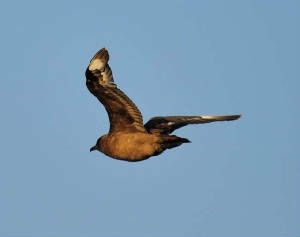 HELVICK HEAD: Adult Pomarine Skua (seawatch 09:00-11:00). 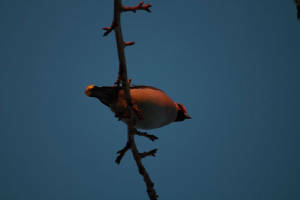 DUNGARVAN: 2 Blackcaps & 4 Tree Sparrows at Strandside, Abbeyside. 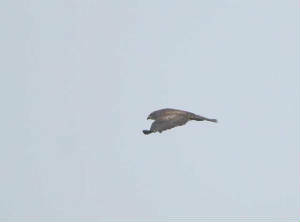 Nr DRUM HILLS: Male Hen Harrier. 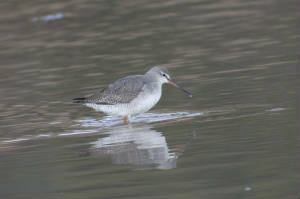 TRAMORE BACKSTRAND: Spotted Redshank at Pickardstown / Ballinattin. DUNGARVAN: Green Sandpiper at the Brickey canal. 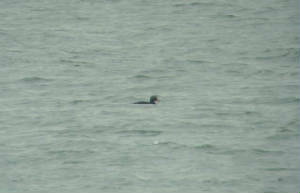 TRAMORE BACKSTRAND: 3 Long-tailed Ducks (2 males & a female). 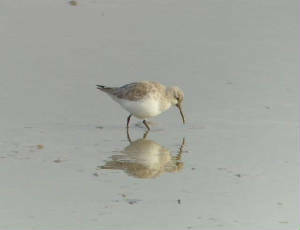 DUNGARVAN: Curlew Sandpiper in front of Park Hotel; 2 Blackcaps at Strandside. 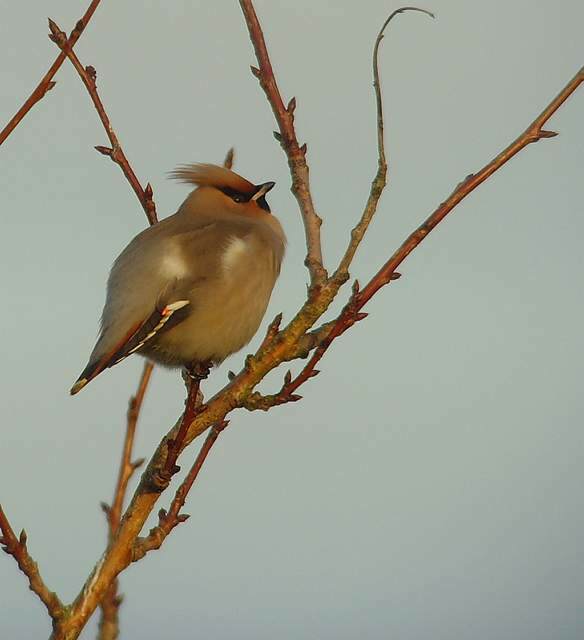 TRAMORE: 3 Waxwings at Ard na Groi estate; 40 Gadwall & 9 Shoveler on boating lake; 5 White-fronted Geese at Lisselan; 3 Shoveler on backstrand; 4 Common Scoter, 17 Red-throated Divers & 4 Great Northern Divers in outer bay. COOLFIN/DERRIGAL/PORTNASCULLY: 320 Greylag Geese & 34 Whooper Swans. TIBBERAGHNY (Co Kilkenny): 61 Whooper Swans. DUNGARVAN: Curlew Sandpiper nr Fraher field, 7 Shoveler off pitch & putt course, adult dark-bellied Brent Goose nr Cunnigar tip, 38 Great Crested Grebes & a Great Northern Diver off Ballynacourty pier. 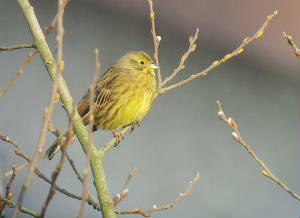 CAPPOQUIN: 20 Yellowhammers opposite Cappoquin Chickens factory. Nr BUNMAHON: 2 Water Rails & 2 Kingfishers. 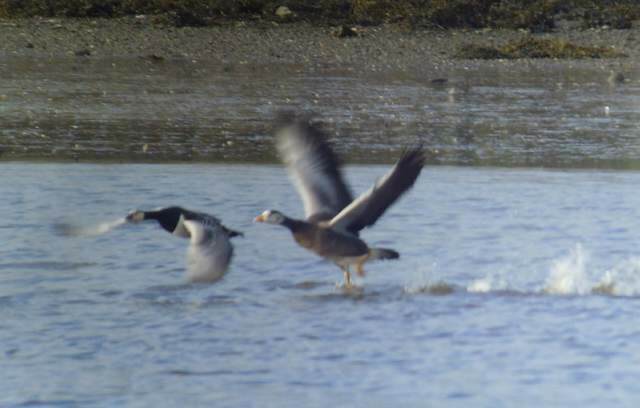 DUNGARVAN: 3 Barnacle Geese & a Bar-headed Goose (presumed escaped). 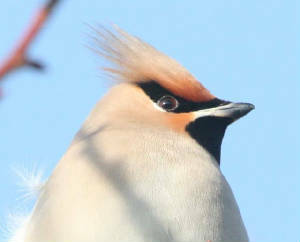 TRAMORE: 3 Waxwings still at Ard na Groi estate. 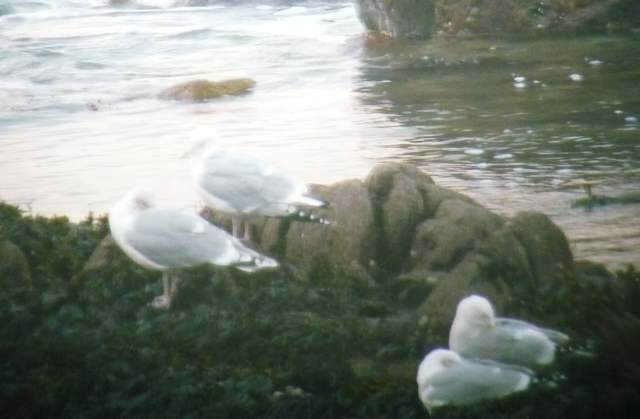 CLONEA STRAND: Great Skua off Ballinclamper, 30 Rock Pipits at Ballinclamper / Ballinard, adult argentatus Herring Gull at Ballyvoyle. DUNGARVAN (I-WeBS count): Slavonian Grebe& 2 BLACK-NECKED GREBES off Ballynacourtypier; 9 Pintail & 5 Shoveler off the pitch & putt course; Barnacle Goose at Ballyneety; 2 more Barnacle Geese (tame birds) & a Bar-headed Goose at the Cunnigar; totals of 40 Great Crested Grebes & 1040+ Brent Geese. 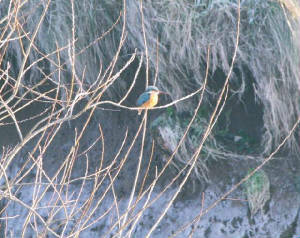 Nr BUNMAHON: Merlin & Kingfisher at Seafield. 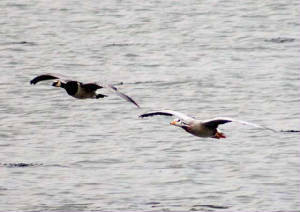 BALLYSHUNNOCK RESERVOIR: 4 Pink-footed Geese. 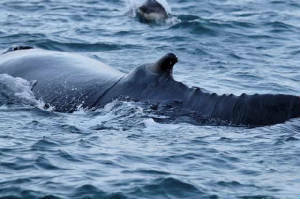 RAM HEAD: 2 Fin Whales. 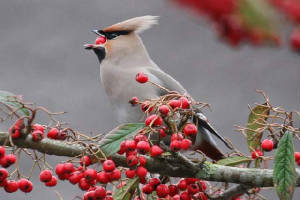 TRAMORE: 3 Waxwings again at Ard na Groi estate. DUNGARVAN: Slavonian Grebe, 2 BLACK-NECKED GREBES, 55 Great Crested Grebes & a Red-throated Diver at Ballynacourty; 2-3 Jack Snipe at the Cunnigar; adult Mediterranean Gull at Ballyneety; Blackcap & Brambling at Abbeyside. 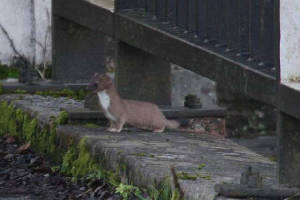 LOWER BLACKWATER: Otter at Camphire bridge; ringtail Hen Harrier. 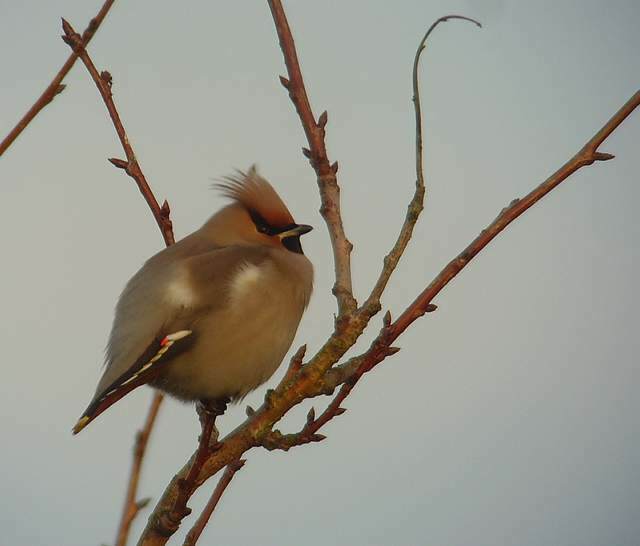 TRAMORE: 3 Waxwings at Ard na Groi estate behind racecourse; 3 Long-tailed Ducks, 5 White-fronted Geese (at Lisselan), 4 Shoveler & 4 Gadwall at backstrand; adult Ring-billed Gull, 59 Gadwall & 8 Shoveler at boating lake. DUNGARVAN: 2 BLACK-NECKED GREBES at Ballynacourty; Barnacle Goose at Quann's; Green Sandpiper at Brickey River; adult Mediterranean Gull at Ballyneety. 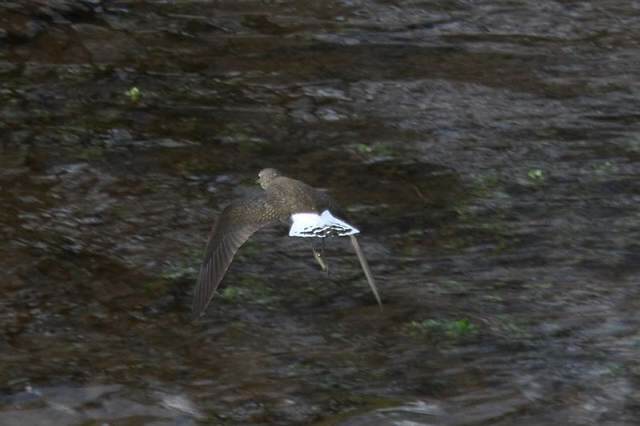 RIVER BLACKWATER: 3 Green Sandpipers at Cappoquin. 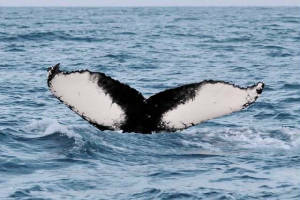 BROWNSTOWN HEAD to DUNMORE EAST: 3 Great Skuas, 11 Red-throated Divers, 5 Fin Whales & a Humpback Whale. 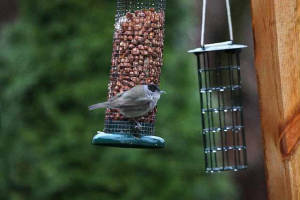 TRAMORE: 4 Blackcaps in garden. 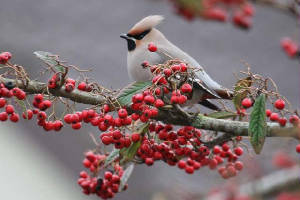 TRAMORE TOWN: 3 Waxwings in housing estate behind racecourse. 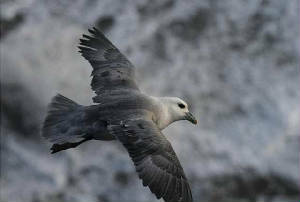 RAM HEAD: Pomarine Skua, Arctic Skua, Red-throated Diver & 2 Porpoises. DUNGARVAN: 3 Blackcaps at Strandside, Abbeyside. DUNGARVAN: Barnacle Goose at Ballyneety, male Velvet Scoter, Slavonian Grebe, 2 BLACK-NECKED GREBES & 2 Great Northern Divers at Ballynacourty, adult Mediterranean Gull opposite Fraher field, Blackcap & 20 Siskins at Springmount. TRAMORE BOATING LAKE: 52 Gadwall. TRAMORE BACKSTRAND (I-WeBS count): Totals included 814 Brent Geese, 5 Shoveler, 10 Gadwall, 2 male Long-tailed Ducks, a Jack Snipe, 130 Grey Plover & 322 Black-tailed Godwit. 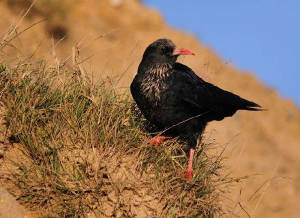 HELVICK HEAD: Red-throated Diver, 500+ Fulmars, 6 Purple Sandpipers & 3 Black Guillemots (seawatch 12:30-13:30). DUNGARVAN: 3 Blackcaps (2 male, 1 female) at Strandside, Abbeyside. 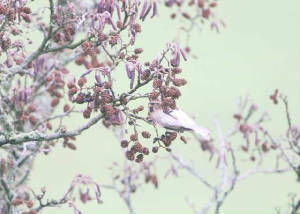 DUNGARVAN: 2 Blackcaps at Strandside, Abbeyside. 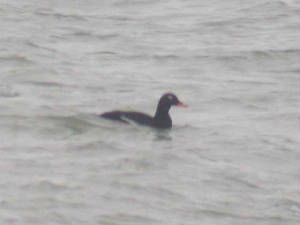 DUNGARVAN: Male Velvet Scoter, Slavonian Grebe & 2 BLACK-NECKED GREBES at Ballynacourty. 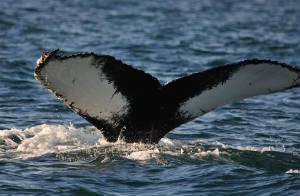 Off WATERFORD HARBOUR: Humpback Whale west of Dunmore East (new individual for ireland - details at IWDG website), also 3 Great Skuas, an Arctic Skua & 2 Red-throated Divers off the harbour. 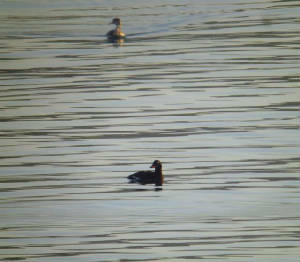 DUNGARVAN: Male Velvet Scoter, Slavonian Grebe & 2 BLACK-NECKED GREBES at Ballynacourty; 2 Jack Snipe at the Cunnigar. 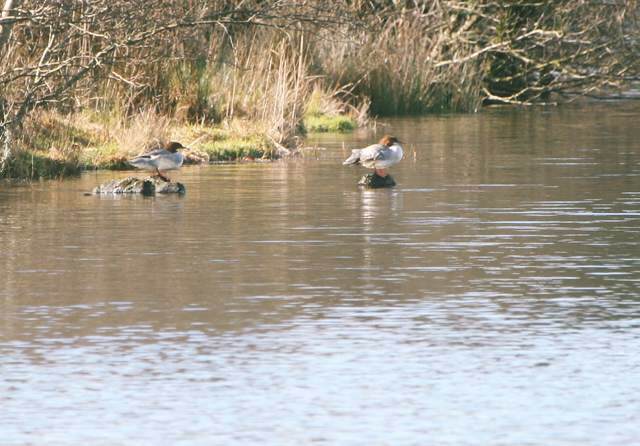 CARRICKBEG (Tipperary/Waterford border): 4 female/immature Goosanders on River Suir. CLONEA STRAND: Purple Sandpiper at Ballinclamper. DUNGARVAN: Slavonian Grebe & 2 BLACK-NECKED GREBES at Ballynacourty; Barnacle Goose at pitch & putt course; adult Mediterranean Gull at Ballyneety; 2 female Blackcaps at Ballinroad. 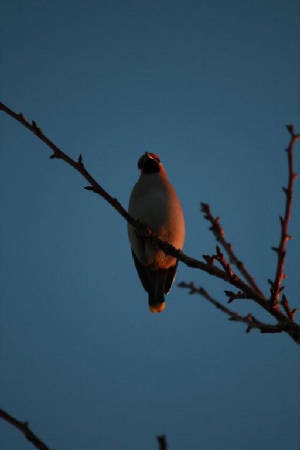 Nr BUNMAHON: Blackcap (singing) at Seafield. 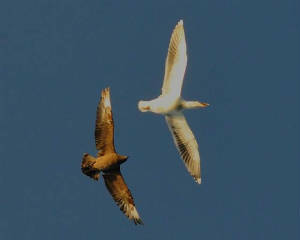 TRAMORE BOATING LAKE: Adult Mediterranean Gull, adult Ring-billed Gull & 4 Shoveler. 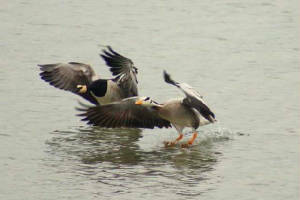 TRAMORE BACKSTRAND: 23 Tufted Duck, 2 Shoveler, 15 Gadwall, 5 White-fronted Geese & 3 Otters at Lisselan. BALLYSHUNNOCK RESERVOIR: 11 Gadwall, 11 Shoveler & hybrid Whooper/Mute Swan. 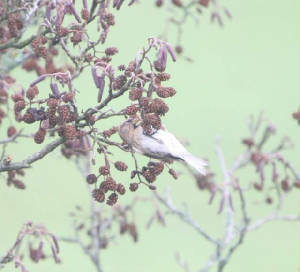 DUNGARVAN: Blackcap & 2 males Bramblings, Abbeyside; Merlin, Kilmurry. 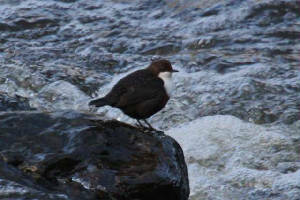 BLACKWATER RIVER: Green Sandpiper & Otter at the Kitchen Hole, Cappoquin to Lismore. 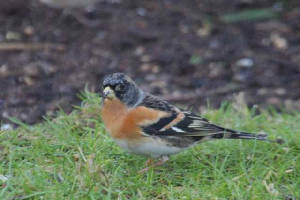 Nr BUNMAHON: Brambling at Seafield. 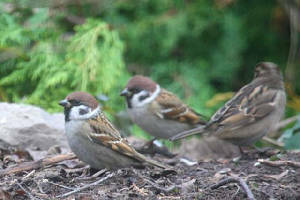 Nr WHITING BAY: 10 Tree Sparrows at Ballysallagh. 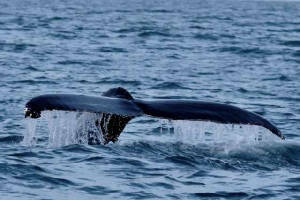 RAM HEAD: 2 Fin Whales, 6 Red-throated Divers & a skua species (Pomarine or Arctic). 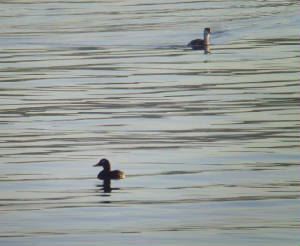 DUNGARVAN: Velvet Scoter, Slavonian Grebe & 2 BLACK-NECKED GREBES at Ballynacourty; Barnacle Goose at CBS pitch. 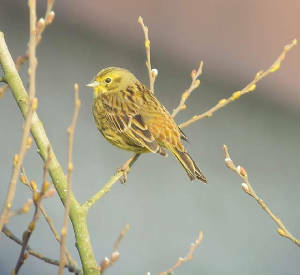 Nr BUNMAHON: 2 Woodcock, Kingfisher & Chiffchaff at Seafield. 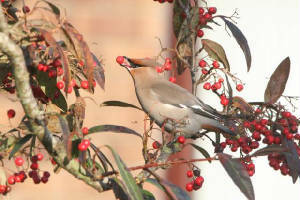 TRAMORE TOWN: 3 Waxwings, 2 Brambling & a Blackcap; also several Waxings a few days earlier. 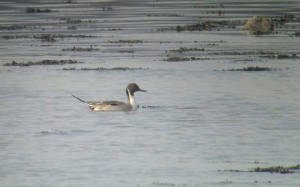 DUNGARVAN: Slavonian Grebe & 2 BLACK-NECKED GREBES, 34 Great Crested Grebes & a Great Northern Diver off Ballynacourty pier. CLONEA STRAND: 6 Great Northern Divers & 3 Red-throated Divers. 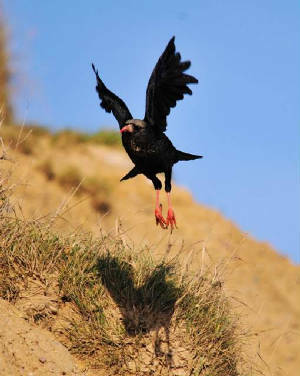 TRAMORE: Black Redstart in western corner of beach. TRAMORE BACKSTRAND: 21 Tufted Duck, 29 Gadwall, 9 Shoveler & 5 White-fronted Geese at Lisselan. 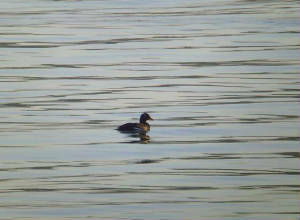 DUNGARVAN: Velvet Scoter, Slavonian Grebe & 2 BLACK-NECKED GREBES at Ballynacourty. CLONEA STRAND: Whimbrel & Purple Sandpiper at Ballinclamper. BALLYSHUNNOCK RESERVOIR: 35 Whooper Swans, hybrid Mute/Whooper Swan, 2 drake Pintail, 8 Shoveler & 8 Gadwall. COOLFIN / DERRIGAL: 35 Whooper Swans. 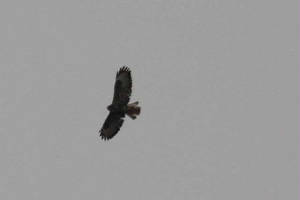 EAST / MID WATERFORD: Buzzard at two locations. Spotted Redshank, Pickardstown / Ballinattin, Tramore Backstrand, 3 Feb 2011 © N McCarthy. 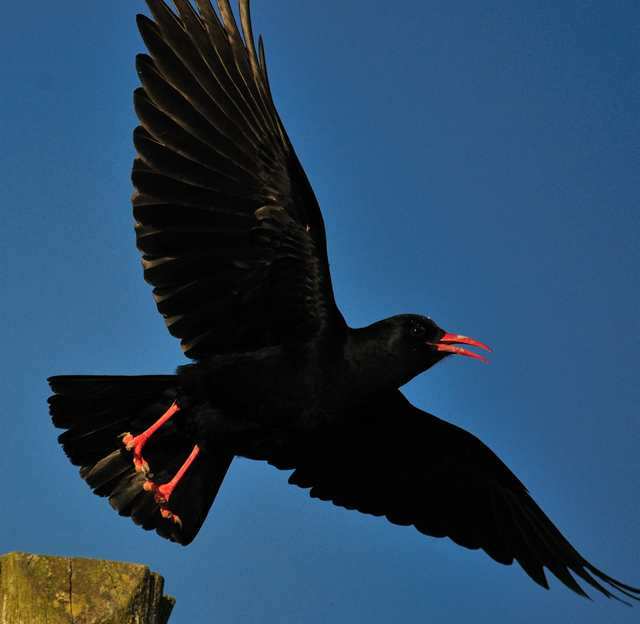 Please email any sightings, or text details of scarcer species to 0861701599.